Content and communications strategist | Bringing brands to life via social media, PR, and editorial. How a baking disaster became a healthy breakfast. The next time you grab a healthy snack at the store, try to guess all of the flavors creating that delicious taste. Can you do it? Maybe you need to look at the label. Most likely you’ll see the term “Natural Flavor”— it is the fourth most common ingredient in processed foods according to the Environmental Working Group just after salt, water, and sugar. Dessert often feels like a bad relationship: We love it, but we know it isn't good for us. So we try to stay away and "behave ourselves," until an inevitable slip up happens and we are left guilt-ridden. However, a sweet indulgence doesn't have to be dramatic. For these recipes, we swapped out refined sugars and flours for diverse, whole food ingredients. Then we added unique, delicious superfoods for even more nutritional benefits. 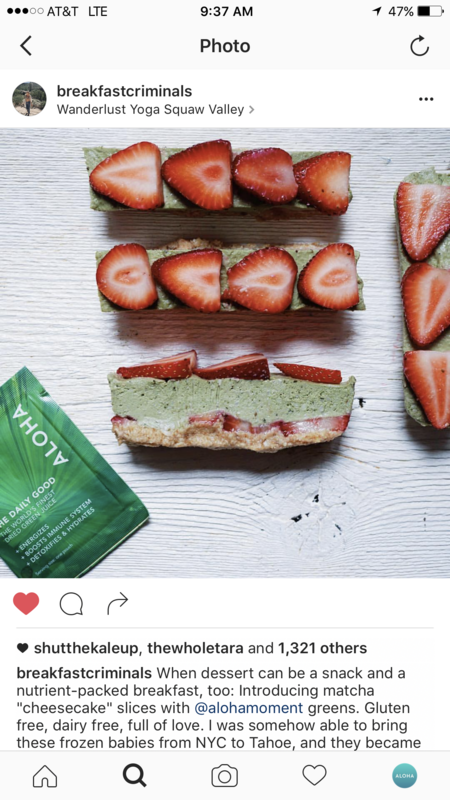 Our collection of recipes meets our stringent health standards and passes the ALOHA taste test. Our treats are every bit as amazing as their unhealthy predecessors, but with no strings attached. You won't regret these desserts the day after — in fact, you can even go for a healthy second serving! A single detox is not always enough—sometimes you have to double down! We picked the brain of our in-house nutritionist to come up with the ultimate detox smoothie. We planted some flowers in these plant-based protein cupcakes. How very "spring" of us! For the ombre effect we varied the amount of Daily Good Berry in our homemade frosting. Making beautiful desserts has never been healthier! Organic post from @breakfastcriminals with 1,323 likes. Gisele Bündchen & Tom Brady made headlines recently for their uber strict diet, which is 80% plant-based and prohibits any inflammatory ingredients, including sugar, iodized salt, white flour, coffee, fungus, tomatoes, nightshades, and dairy. Their children snack on homemade spirulina fruit roll-ups, while mom and dad indulge in hearty salads. It’s hard to find someone who doesn’t like breakfast foods. Whether it’s brunch or “linner,” we find excuses to eat breakfast 24/7. But thanks to its penchant for sugary or fatty treats, breakfast can easily fall into the unhealthy food category. That’s why we took our favorite dishes — pancakes, muffins, scrambles — and turned them into superfood powerhouses. We also included a few grab-and-go options that are must-haves on a crazy workday morning. 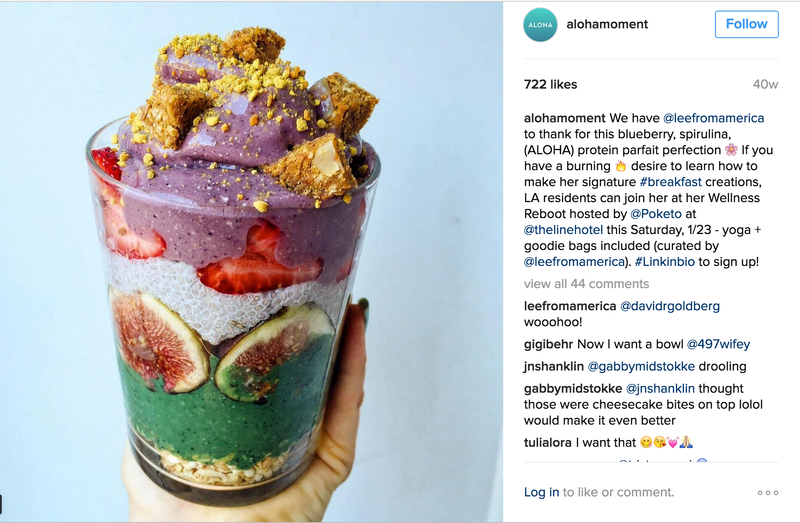 Simple recipes, fresh ingredients, and nutrient-dense ALOHA goodness make breakfast not only the most important meal of the day, but the healthiest one too! Showcasing the lifestyle mission of the ALOHA brand. 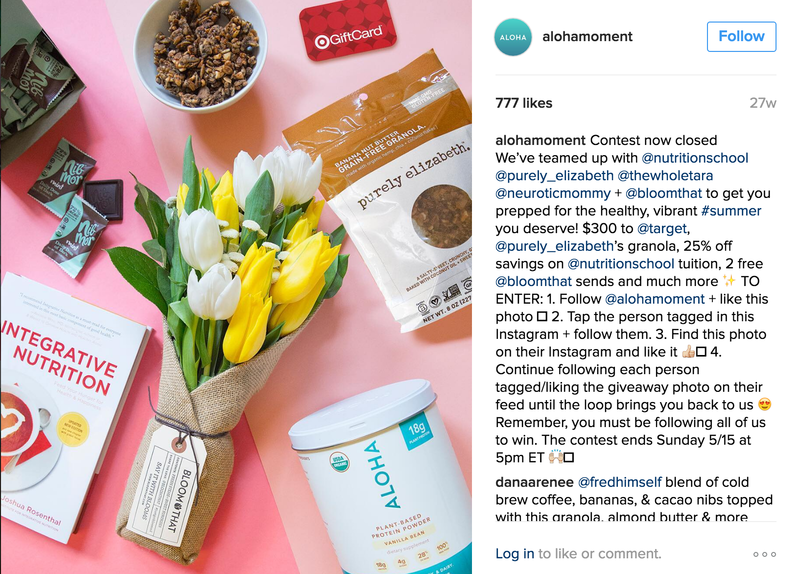 I collaborated with an herbalist for a scientific approach to this advertorial, which promotes several ALOHA products. Un-paid post from @leefromamerica posted on her platforms and then reposted on ours. This long weekend is perfect for snuggling on the couch, cracking open a bottle of wine (or kombucha), and watching a quality movie. Whether you want to fall in love, laugh until you snort popcorn, get teary-eyed, or stab someone, we've picked a flick for you! These all natural “power bars” by Fit Men Cook are full of whole foods and superfoods to give you lasting energy throughout the day to attack your goals. It is hard to stay healthy during the holidays—the best strategy for avoiding pounds of processed sugar and countless calories is to cook yourself! Whether you are a guest or a host, these recipes make holiday entertaining easy and nutritious! And do not worry, these dishes are absolutely delicious too. Happy holidays!